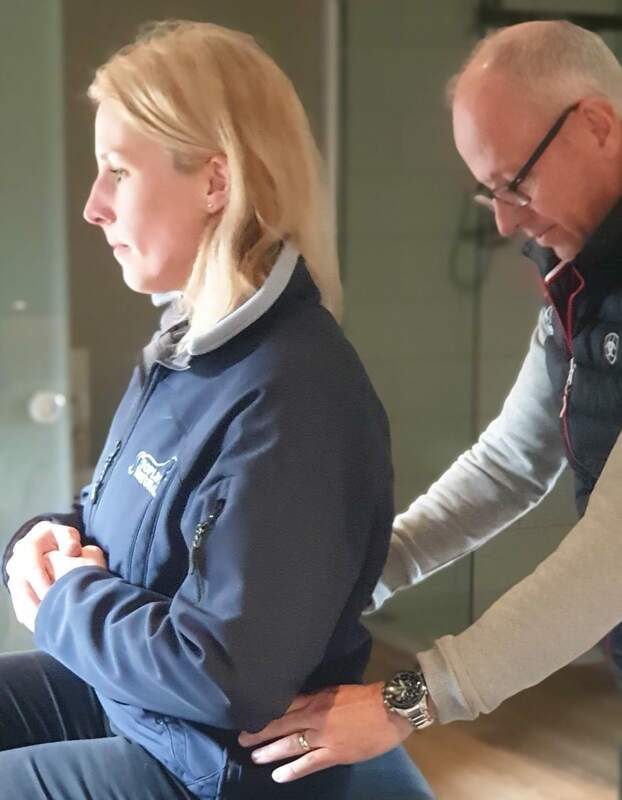 We had a fantastic first visit from elite equestrian physio Andy Thomas from Event Physio on March 23rd. Andy did unmounted assessments using his TESTT method for 10 riders, helping correct muscle activity imbalances and leaving everyone with exercises to do to help achieve greater symmetry. The event also allowed attendees to have a sneaky peak at my future base in The Haven, nr Rudgwick! We are all looking forward to his next visit on May 21stwhere he’ll be offering both initial rider assessments and follow up treatment sessions for those who’ve already been assessed. Due to popular demand, there are waiting list spaces only – contact me via messenger or info@sarahsjoholmpatience.com to get on the waiting list or to join the list for his next visit. Andy Thomas is a High Performance Human Science Sports Medicine Advisor to the USA equestrian teams and developer of TESTT (Thomas equestrian symmetry types and tests). He is an experienced international lecturer in this specialist area and provides a unique insight into the human equestrian athlete. He has attended 3 Olympic Games, 4 World Championships and 12 European Championships. Utilising his vast understanding of performance biomechanics analysis he supports the USA dressage team and the US Showjumping World Champions.